Good web design and great products means nothing unless your target audience can find it. DECK 7 uses an integrated approach to Search Engine Optimization (SEO) to connect your target audience with your website or product. By utilizing our search marketing services (SEM), you can not only reach your audience but convert them into customers when they are searching for you. Our approach includes the use of both technical optimization tactics that need to be designed into your website as well as broader integration with your other marketing efforts across multiple channels. Through our SEO and SEM services, DECK 7 helps improve your SERP rankings, and the overall online presence for your business. 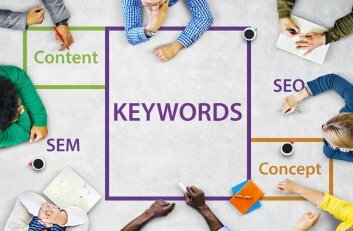 Connect with a dedicated DECK 7 SEO/SEM specialist today to help your customers each you easily and quickly. Search engine optimization (SEO) and search engine marketing (SEM) activities including on-page and off-page activities. Paid advertising including PPC, CPM, ad exchanges, and custom audiences. Advertise across DECK 7 properties through our third-party network. Retargeting across a variety of web sites and social media channels. Use of Google Analytics and other analytics tools for keyword search, effective ad spends, and SEO services. Increase your online visibility with the help of our certified search marketing specialists. Contact us for a free consultation using DECK 7’s holistic approach to SEO.